Sentai Filmworks Licenses "Student Council's Discretion"
Politics aren’t normally pretty, but at Hekiyo Academy, they’re absolutely gorgeous! Sentai Filmworks is proud to announce its latest acquisition, Student Council’s Discretion. 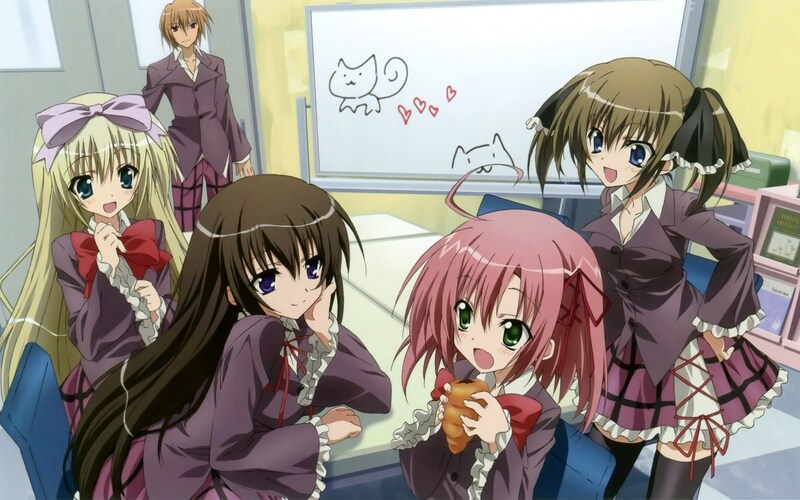 This slice of life comedy series is adapted from the light novels by Sekina Aoi and is directed by Takuya Sato (Say,”I Love You”, Strawberry Marshmallow) with series composition by Jukki Hanada (Beyond the Boundary, Love, Chunibyo & Other Delusions) and animation production from Studio DEEN (Fate/stay night, Sakura Trick). At Hekiyo Academy, all but one of the Student Council members are elected via popularity contests, and since teenagers think with hormones more often than intellects, those seats are filled by the attractive derrieres of the school’s most beautiful girls! That makes things extra rough on the one student chosen for academic scores, because besides being the council’s only male member, one of Ken Sugisaki’s main assignments is writing stories informing the student body about the many achievements of their Student Council. That means manipulating the truth just a bit, and given that Ken’s a besotted fan of dating video games who fantasizes about his fellow council members as his “harem”, things tend to get even more out of hand. And exactly who’s going to be the leading lady is up for debate, as immature Kurimu, tomboyish Minatsu, twisted Chizuru and “boy love” obsessed Mafuyu are all trying to add their own particular spins, even as their jealous rivals in the Journalism Club aim to shoot them down! The lines between facts and fiction disappear and what REALLY happened will probably never be revealed except at the STUDENT COUNCIL’S DISCRETION! Student Council’s Discretion will be available soon through select digital outlets with a home video release to follow.